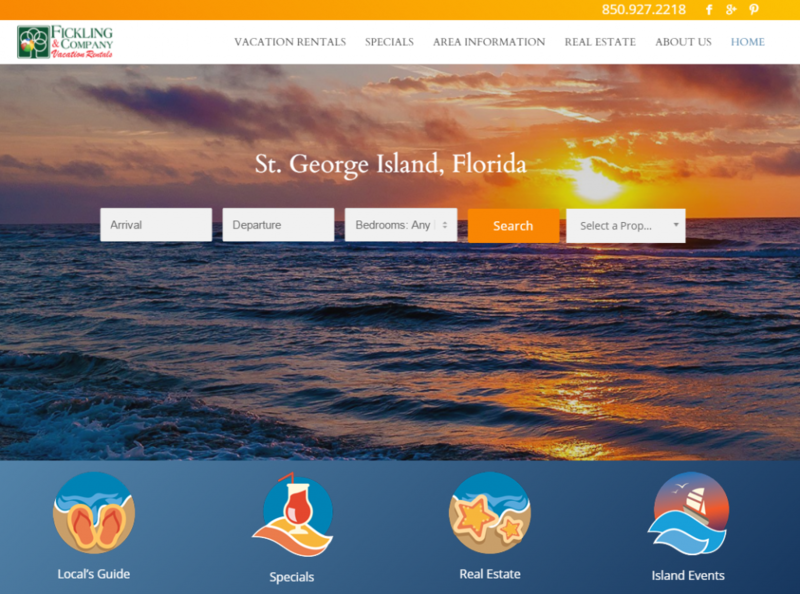 Website Launch Makes Vacationing on St. George Island, Florida Easy! You are here: Home / Blog / Press Release / Website Launch Makes Vacationing on St. George Island, Florida Easy! Fickling & Company Vacation Rentals announced today the launch of its newly revamped website. The redesigned site will offer quick and easy access for booking family-friendly vacations on St. George Island, Florida. The website features a wide variety of homes to accommodate families of any size. Whether booking a vacation in a beachfront or bayfront home the new site will simplify the rental process. The interface features a clean uncluttered design, improved functionality, and enhanced rich content focused on matching vacationers with the best rental options. The new site goes live today, May 24, 2017, but the web address will remain www.ficklingvacationrentals.com. The Fickling & Company Vacation Rentals website feature news and events around St. George Island, FL. Visitors are encouraged to explore the website and sign up for direct emails by visiting our contact page: Click Here. About Fickling & Company Vacation Rentals. In June of 2008, Fickling & Company opened its vacation rental office on St. George Island, Florida. The Island offers a quaint resort atmosphere for vacationing families and is located on the Gulf Coast, just 75-miles Southwest of Tallahassee, FL. St. George Island is known for its pristine white sandy beach, mesmerizing sunsets, and home to several pods of dolphins. Fickling & Company Vacation Rentals is a division of parent corporation Fickling & Company, a full-service real estate provider based in Macon, Georgia. Since 1939, Fickling & Company has specialized in sales and leasing for both the residential and commercial sectors, commercial and residential development, as well as, single and multifamily property management. To learn more about Fickling & Company please visit https://www.fickling.com/. https://www.ficklingvacationrentals.com/wp-content/uploads/2017/05/Website-Image.png 797 1073 Con Browning https://www.ficklingvacationrentals.com/wp-content/uploads/2016/12/logo.png Con Browning2017-05-24 13:24:122019-01-28 11:54:54Website Launch Makes Vacationing on St. George Island, Florida Easy!